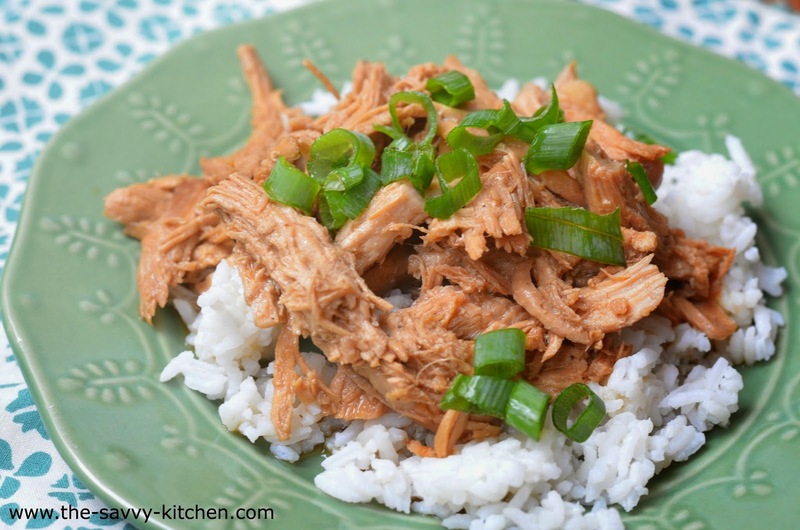 It's officially feeling like fall so I proclaim it to be slow cooker season! Easy meals that warm your house AND your belly can't be denied this time of year, right? So break out those crockpots and get to (slow) cookin'! My first slow cooker recipe of the season was one directed towards my husband. I've said before how he has a slight obsession with store-bought Teriyaki sauce, so I used that as the base of the sauce for some shredded chicken. I used some other flavors to spruce it up (garlic, brown sugar, sesame oil) and it made an extremely savory meal served over rice. You can even use frozen chicken in this recipe if you forgot to thaw some beforehand (which I often forget to do). Enjoy! In a large bowl, whisk together teriyaki sauce, chicken broth, brown sugar, soy sauce, garlic, sesame oil, salt and pepper. Place frozen OR thawed chicken breasts into a slow cooker. Add teriyaki mixture and gently toss to combine. Cover and cook on LOW 4-5 hours for frozen chicken, or 3-4 hours for thawed chicken, or until cooked through and can easily be shredded with a fork. 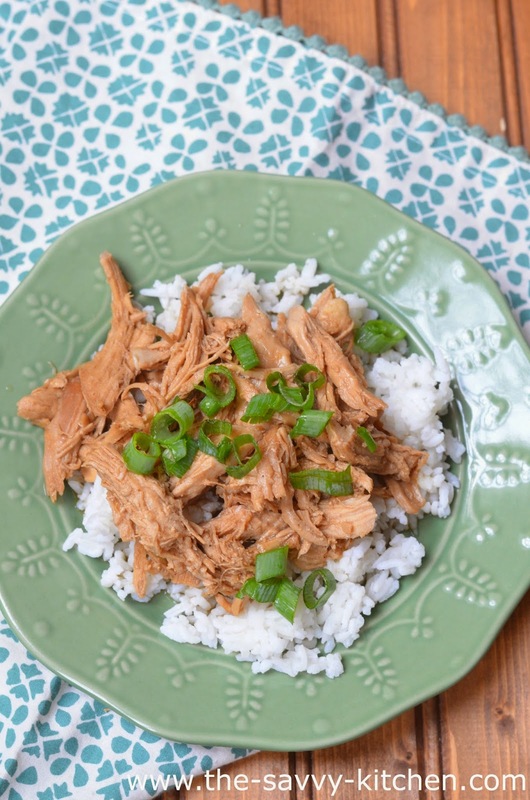 Remove chicken breasts from the slow cooker and shred with two forks. Return chicken back to the pot and mix with the juices. Cover and cook on LOW heat an additional 30 minutes. Serve immediately over rice. Garnish with scallions. Yum! 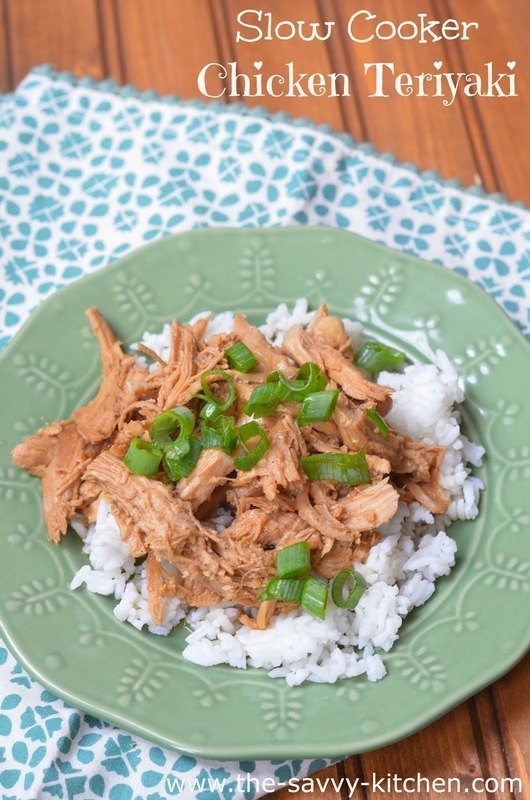 We love teriyaki, and the crockpot is my best friend! Can't wait to try this!